Great visual Tracy! Thanks for the share. There are so many necessary components to meet the needs today’s learners. I am reminded that I need to provide my learners with more time for self-assessment and reflection. What areas are you working on with your students? 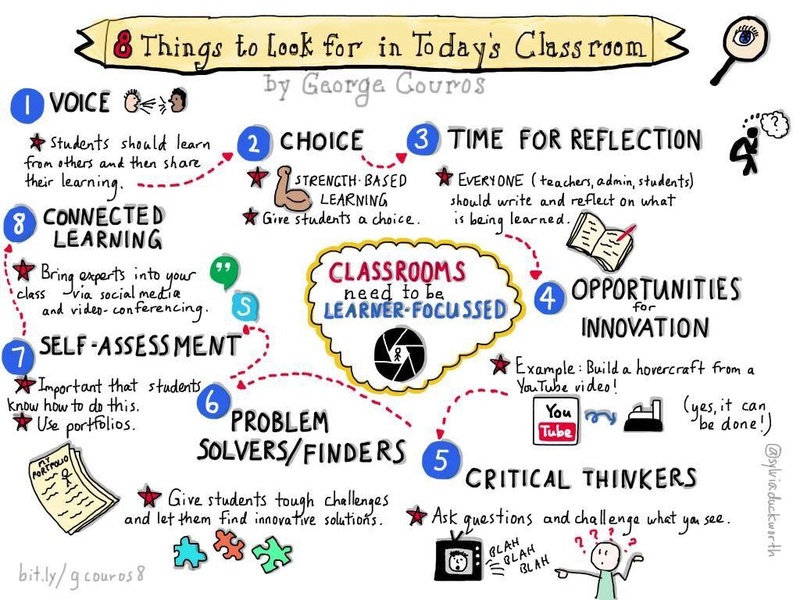 As I continue to reflect on the kinds of learning that is happening in today’s classroom, I think I would also add relationships and creativity as 2 additional key components. What do you think? Does anyone else have anything to add as well?